Several Philadelphia area Jewish Community Centers were evacuated on Monday morning after they received threats. In Wynnewood, PA, the Perelman Jewish Day School and the Kaiserman JCC were evacuated at 10:45 a.m. New Castle County police responded to the Siegel Jewish Community Center in Talleyville, Delaware on Garden of Eden Road around 9:45 a.m. due to a bomb threat. This is the third threat at the center in the past two months. 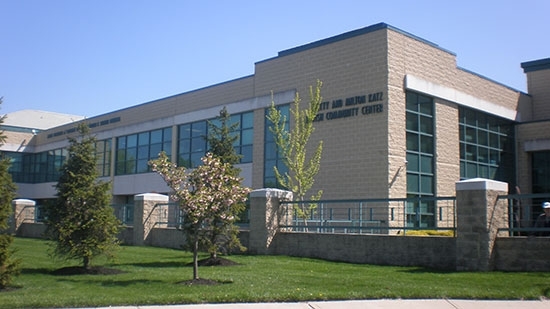 The Katz Jewish Community Center in Cherry Hill, NJ was evacuated at 10:45 a.m. due to a similar threat. JCC's in York and Harrisburg, PA were also threatened this morning. All of the centers were evacuated safely and no one was injured. Authorities are investigating. Bill Cosby returned to the courthouse in Norristown, Montgomery County, on Monday morning for a pre-trial hearing regarding the jury in his sexual assault case. The defense wanted the trial moved out of Montgomery County all together because of the media exposure and its political connection to the DA's race in 2015. Montgomery County Judge Steven O'Neill ruled that the trial will stay in the Philadelphia suburb, but a jury from outside the area will be brought in the hear the case. That jury will also be sequestered during the trial. The Pennsylvania Supreme Court will decide where in Pennsylvania the jurors will be selected. The trial is set to start June 5th. Almost 600 Penn State University faculty and staff members have taken a voluntary retirement package. That includes 419 main campus employees and 168 on satellite campuses. 46 percent of employee's eligible for early retirement took the package which included a year's lump sum pay. Faculty 62 and older and staff 60 and older were eligible if they also had 15 years of service. More people took the package than anticipated. How much money the university will save after new workers are hired is not clear. It could lead to a more diverse faculty in the coming years.